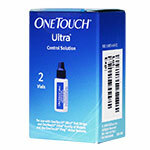 Shop One Touch products online. 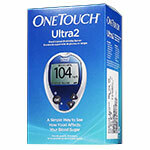 Order from ADW Diabetes today! 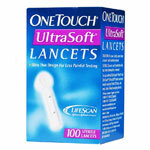 One Touch, a product of LifeScan's two-decade legacy, is a pioneer in blood glucose monitoring and technology. 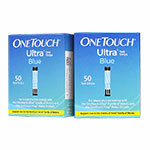 The company joined the well-known Johnson and Johnson family in November of 1986, continuing its mission to improve the lives of those with diabetes. 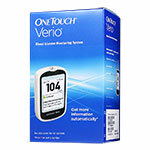 The One Touch monitoring system line includes everything you need to manage and control your diabetes, from One Touch test strips to One Touch glucose meters. 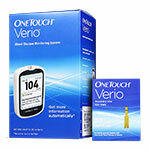 These products support ongoing blood glucose testing, helping you make wise choices and take immediate action to steer your levels into a healthy range, avoiding highs and lows. A healthy level is typically between the range of 80 mg/dL and 140 mg/dL, but can vary depending on your unique body make-up. Always consult with your physician to determine your ideal blood glucose target levels. When your blood sugar is out of its target range, you may feel sluggish, short-tempered, easily distracted or discouraged. You may also experience sweating, confusion and nausea. 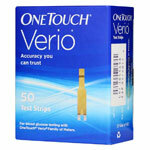 But One Touch meters can help you monitor these levels to make immediate adjustments. Regular testing throughout the day will help you track and understand the results of food, exercise, medication use and other factors in relation to their impact on your blood sugar levels. Your physician will instruct you on the best actions to take should your One Touch meter reading fall too high or low from your target blood glucose range. The actions you take will make a powerful impact on your disposition, mood and general well-being. 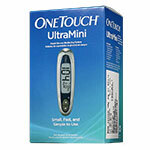 ADW Diabetes delivers the One Touch monitoring systems and supplies you need, quickly, affordably and efficiently to your door. Order at any time, day or night. 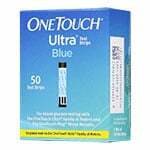 Stock up on appropriate test strips including One Touch Ultra test strips.